This traditional chain necklace presents a timeless look. 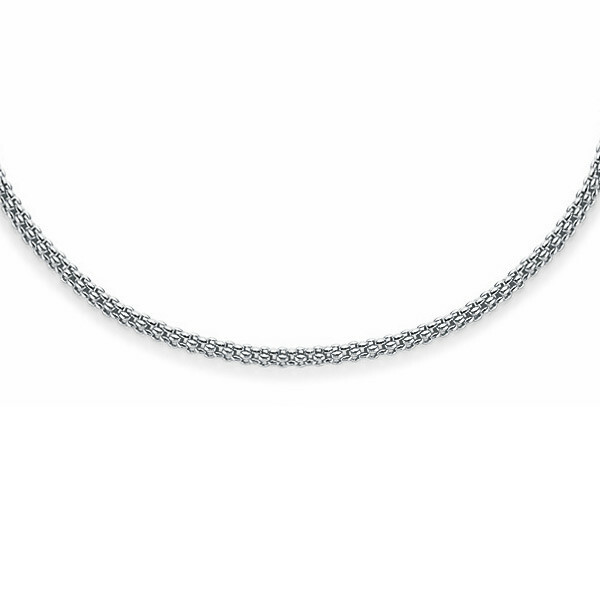 Crafted in 18K white gold mesh, the jewelry classic is 2.8mm wide and 18" in length. Wear it with any neckline in your wardrobe; it will come down to or rest just above your collarbone. Wear it solo or pair it with a pendant for a look that is uniquely yours. This Fope necklace has just the right amount of fabulous!